In this example we will configure an express board to recieve characters over UART and turn on/off an LED respectively. Please make sure you have completed Part 1 of this example. c. Enter the model number of your device. a. Add peripherals to the project. b. 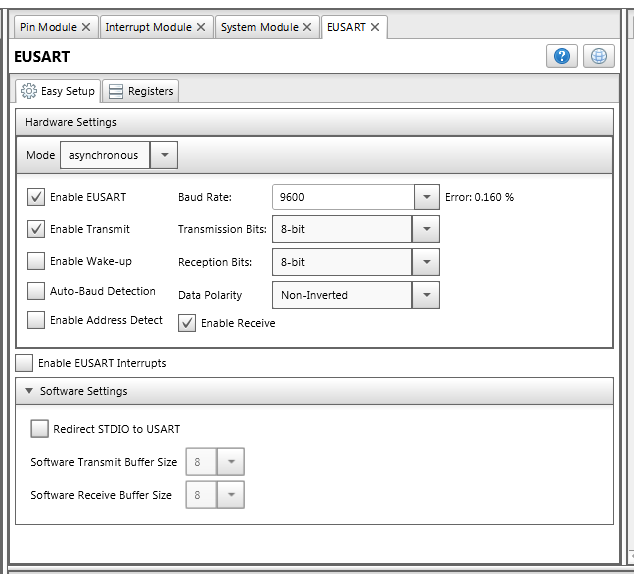 Modify the EUSART Peripheral. Select EUSART from the peripherals list. c. Configure the pins used on the device. 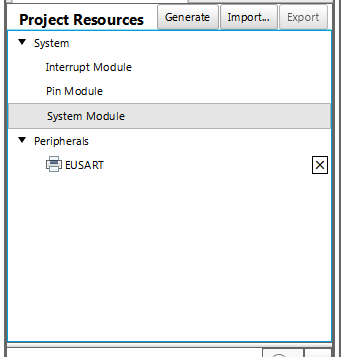 In the EUSART Module, Select pin Port-C6 for RX and Port-C5 for TX. d. Generate the Project files. Note that a couple lines in the main.c file in the project have been ommitted here as they do not contribute core functionality. the light should not be turned on. 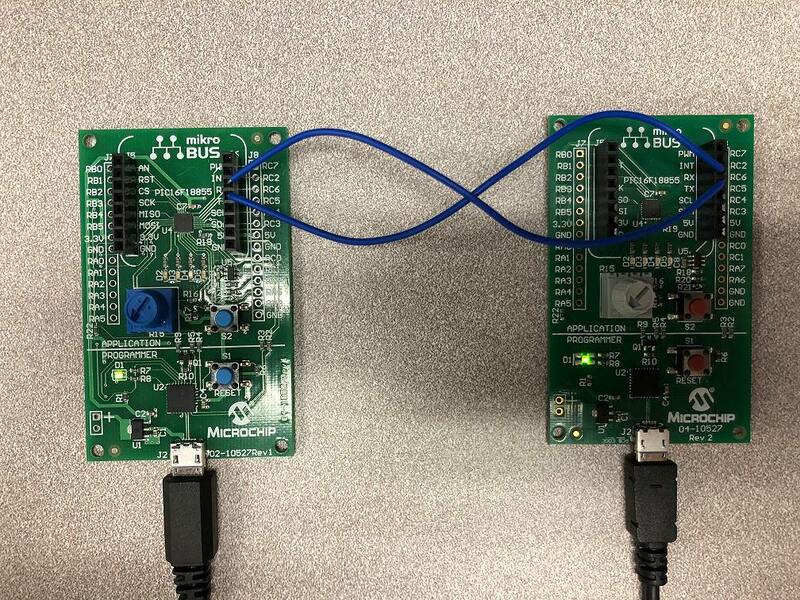 Now that the software is written you can build the code and program it to the board. piece of wire should connect the grounds of the devices together to prevent floating logic levels. cables to the hub they are both connected too. programmed as master. This should light up the first LED on both boards. Fun Right?